Lucie found a pattern for a 6 sided biscornu which I figured you could just make up yourself. 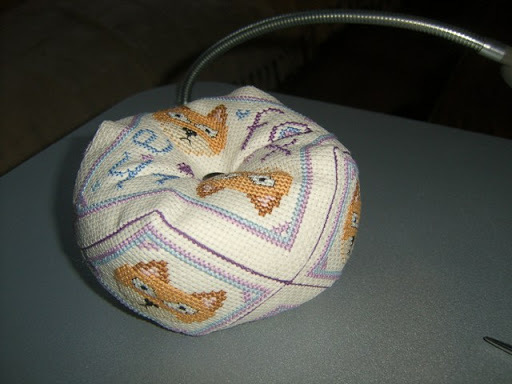 I now have the challenge for the weekend to make up a 6 sided biscornu without a pattern. Will post some pics as I’m going along. 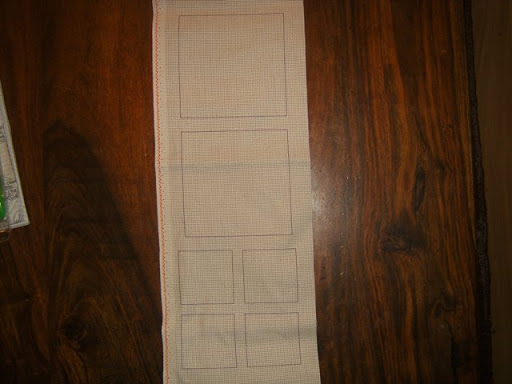 This is the layout of the 6 sided biscornu, here all the boxes have been backstitched ready to be filled in with the pattern. This is the biscornu with all sides stitched, ready to cut out and put together. This is the Biscornu all finished. ﻿I have to say I really enjoyed this biscornu, it was quicker than a 15 sided one and not just as fiddly. Its along the lines of a 4 sided one but with sides on. I’d highly recommend trying one. Good luck and I hope you do very well, but knowing you as I do, I know you will do a grand job!! 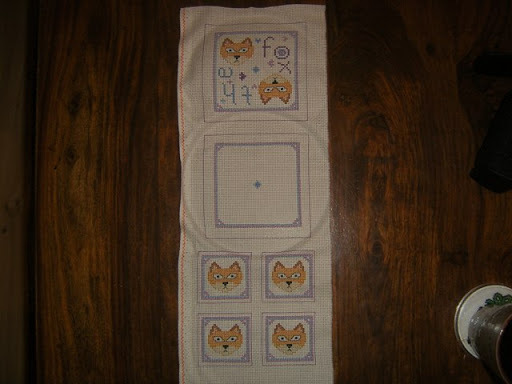 I like the way you have done all the back stitching first. I think that is a great tip. I will try it this way in future. I set most of my biscornu's out like this Mary Joan that way I can choose the size I want them and then pick or make up my own design.